If you have a furry friend with long or curly hair, you’ve more than likely experienced matting. These pesky little balls or clumps of fur not only look bad, but they can also cause discomfort and health issues with your pup or kitty. My Cavalier King Charles Spaniel’s fur is prone to matting, so I searched for solutions and found the best way to get mats out of dog hair. Here’s a complete guide on how to remove matted dog hair for your pet too. What Causes Matted Hair In Dogs? “Matting” is dense or tangled clumps of hair in a pet’s coat. Mats are more prevalent in long-haired dogs (and cats), especially during shedding season. The extra fur needs to be adequately extracted via a brush or else matting will occur. Mats can also result from dogs scratching themselves and getting their fur wet in rain or snow. Mats usually start with a small knot, but this can quickly turn in to a large clump. Left untreated, mats get larger and more difficult to remove. Sometimes, eliminating large mats involves pulling on the skin which is extremely painful for your pup. That’s why it’s important to understand the best way to remove them. 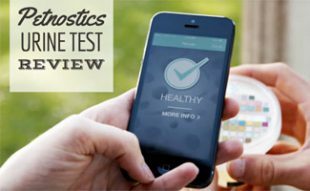 You should seek a professional’s assistance if the mats get unmanageable. In addition, severe matting can lead to health problems, such as poor ventilation and blood flow. If mats start to turn pink or red (or smell), you should contact your vet right away — this could be a sign of infection, which requires expert removal and treatment. Mats can form anywhere on a dog or cat’s coat but especially where their hair is extra long: the backs of their ears, butts, tummy area and under the arms and legs. Maintaining a healthy coat can prevent mats from forming so it’s critical to remove excessive hair through regular brushing and grooming. But often, they sneak up on you out of nowhere. Before we dive into how to demat a dog, you’ll first want to make sure you have all the right tools and products handy. These will help set you up for dematting success. While regular dog brushes work great for general maintenance and shedding, you’ll need a specific detangler brush to remove mats as painlessly as possible. We recommend the HDP Safari DeMatting Comb (or something similar) that has serrated stainless steel blades to help break up the hair while combing. In addition to a brush and dematting comb, it’s a good idea to have a gentle comb like this stainless steel one by Hbuir to smooth out the hair. It has a comfortable handle and comes in three sizes including a double-sided option. Next in your arsenal is a detangling conditioning spray. 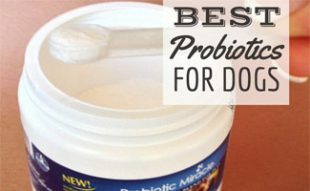 While there are many products on the market including the highly recommended Cowboy Magic spray, our top pick for the best dog detangler is SKOUT’S HONOR Probiotic Daily-Use. 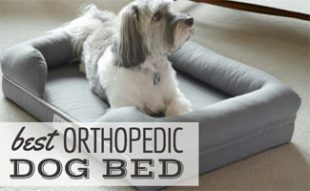 I personally used this on our dog (in the lavender scent for a calming effect) and love that it’s an all-natural, non-GMO, tear-free treatment that stands behind a 100% guarantee (and also gives back to dogs in need). We also recommend using a detangling dog shampoo in conjunction with your preventive regimen, but at a minimum you should have the conditioning spray that doesn’t require the need for a full-bath (whereas a detangling shampoo for dogs does). You don’t need heavy duty dog clippers for matted hair. A simple set of shears should do the trick. But these scissors are designed with dogs in mind since the tips are rounded to prevent poking or sharp stabs if your pup gets fidgety. You might also try thinning shears which help break up the hair without completely snipping it off. (Be sure to follow the instructions in the video below when using clippers to remove mats). Now that you’re prepared with products, it’s time to pamper your pup. Keep in mind, this isn’t a doggy spa treatment. Untangling a dog’s matted coat is a delicate process that requires both patience from you and your pet. Here are some steps to remove mats. Get you and your dog in a comfortable position where you can maintain control of your pup without making him feel trapped or scared. The kitchen counter, dining room table or other stable piece of furniture works well so they’re at eye level with you (to mimic being at the vet or groomer). If your dog is large or more skittish (like my pup), you might try to cradle him on the sofa or get in a more relaxed spot. Use your fingers to gently massage the knot. This helps to loosen the hair naturally before getting the tools out. Separate the mat from the surrounding hair by gently brushing back the areas around the clump of hair to focus on the problem spot. Gently brush the matted area with a soft bristle brush alternating directions. Place your fingers under the base but above the skin to help keep tugging the skin to a minimum when brushing. Sweep the brush sideways to break up the hair fibers. Using a dematting comb, start at the top (furthest from the skin) to detangle the mat and work your way towards the base. Be extra careful not to snag the skin (keeping your hand under the fur helps). Spray your conditioner around the matted area until it’s slightly damp. This step is optional, but we found that the conditioner makes it easier to get the brush to glide through the hair. Use a stainless steel comb to finish going over the newly detangled hair, working the conditioner in evenly. Don’t forget to pet your pup, give him words of affection and treats once the process is complete (and throughout the steps above if needed). 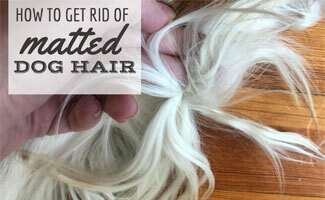 If you’re still having trouble removing the knots after the process above, you might resort to trimming. Wondering how to cut matted dog hair out safely? See pet expert Marc Morrone‘s effective trimming method. If your pup has severely matted dog hair, it’s probably better to shave your pup. Want to know how to shave a dog with matted hair yourself? Here’s a guide to grooming at home, but with massive matting we’d recommend leaving that to the experts and taking your dog to a groomer. Another matted dog hair remedy is cornstarch — a good alternative if you’re in a bind or don’t have access to a pet store or time to wait for ordering the items above. Liberally rub the cornstarch into the matted fur then slick the hair from the bottom to the top of the mat using a comb. For additional reading, be sure to check out our bathing tips article which can be an extra resource in your ongoing journey for mat-free hair. What tips do you have for removing mats in your pup’s fur? Sadie is a dog mom to an adopted Cavalier King Charles Spaniel and has been dog sitting for more than 10 years. 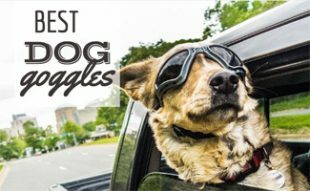 When not writing and doing graphic design for Canine Journal, she can be found traveling and doing pet photography for friends and family.